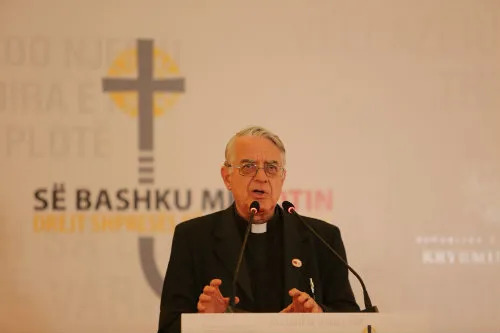 Sep 21, 2014 - 08:11 pm .- Pope Francis’ visit to Albania is a “gigantic event” for the religiously diverse country as it seeks a greater role in Europe, one leader at the country’s main Catholic university has said. 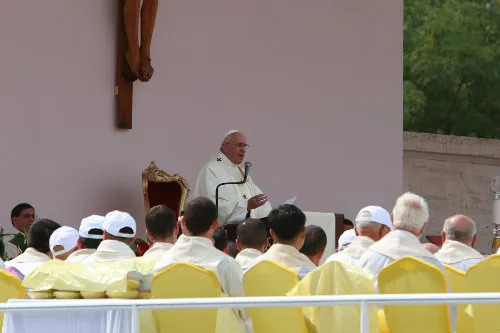 Sep 21, 2014 - 03:31 pm .- God’s consolation for Albania’s martyrs and other persecuted Christians is a reminder for us all of the intimate consolation that God offers amid suffering, Pope Francis said at a Sunday vespers service. 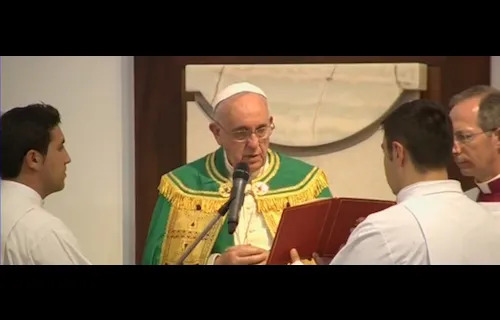 Sep 21, 2014 - 12:17 pm .- Pope Francis visited an Albanian center for abandoned children on Sunday, emphasizing in his remarks that Christian charity can help bring oneself and others closer to God. 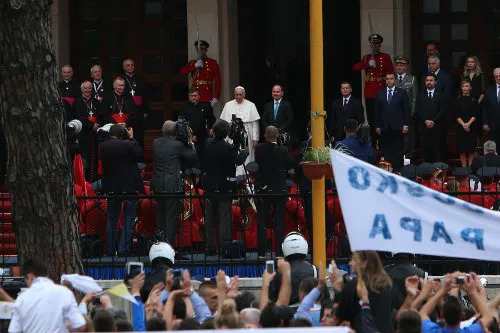 Sep 21, 2014 - 09:21 am .- The “conviction that truth has its own power of attraction,” said Pope Francis, negates the need for those secure in their faith to impose their beliefs on others. 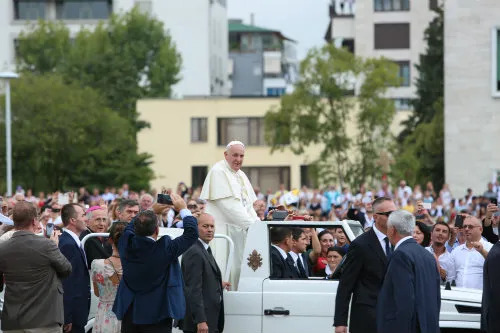 Sep 21, 2014 - 05:02 am .- After celebrating Mass at Mother Teresa square during his one-day trip to Albania, Pope Francis led the crowds in the Angelus prayer, urging the country's young people to live a life fully engaged with Christ. 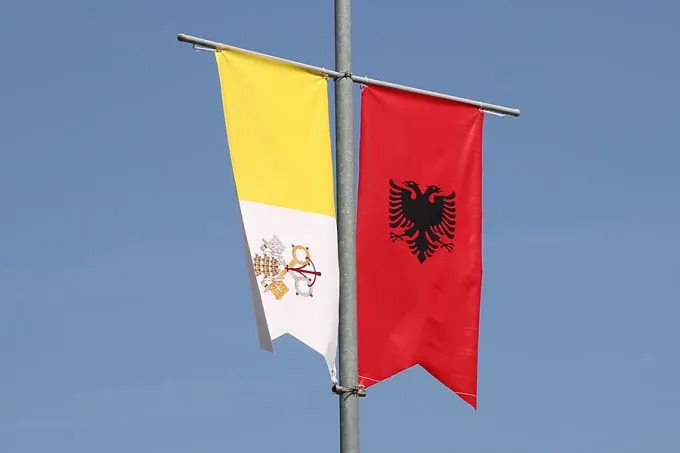 Sep 21, 2014 - 03:45 am .- During Mass at Mother Teresa square as part of his one-day trip to Albania, Pope Francis recalled the country's vicious history of anti-religious persecution, saying it is now ready for the Gospel to flourish. 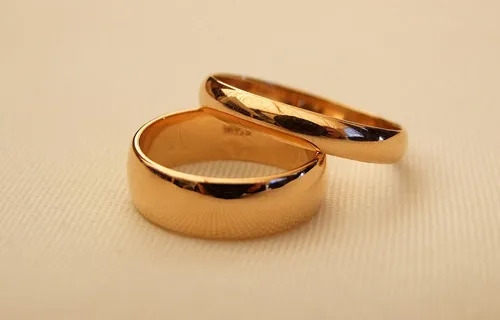 Sep 21, 2014 - 12:09 am .- Pope Francis will establish a commission to review the matrimonial process in canon law with the goal of simplifying the procedure while maintaining the indissolubility of marriage, the Holy See Press Office announced Saturday.